Blizzard hope to support a StarCraft: Remastered esports scene alongside that of its sequel, and will organise a competition some time this year. That’s according to Sam Braithwaite, Blizzard’s esports franchise lead on Heroes of the Storm. StarCraft’s sequel makes our list of the best strategy games on PC, as well it should. Given these schedules, BlizzCon in November seems the ideal place to host (or perhaps conclude) a StarCraft: Remastered tournament, and to outline the details of a big esports push next year. Keep an eye out for more news after April’s summit – Braithwaite saying “not just an announcement” implies there may be an announcement, but perhaps we’re reading too much into his words. Regardless, this implies a shake-up for StarCraft: Remastered’s current competitive scene. 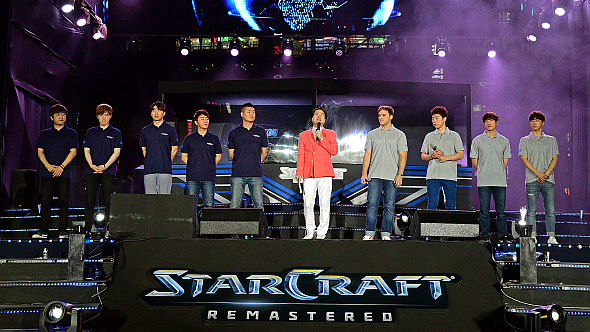 All such contests so far have been in the Afreeca Starleague (ASL), which has now hosted SC:R contests for two seasons, and where the original StarCraft: Brood War has been enjoying a recent renaissance.